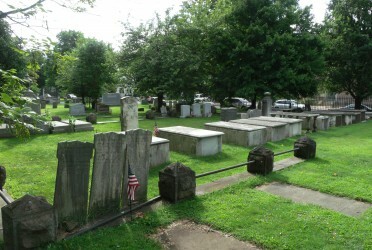 Established in 1757, the Princeton Cemetery is owned and operated by the Nassau Presbyterian Church (formerly First Presbyterian Church) and is located near the center of town. It is still an active graveyard and welcomes inquiries for burials in a grave, the columbaria or the Pardee Memorial Garden. The inclusive, non-denominational character of the Cemetery continues, and interment has never been restricted to Church members and their families. The Princeton Cemetery is a unique burial ground. Our cemetery is the final resting place for a President and a Vice President of the United States, most of the Presidents of the College of New Jersey/Princeton University and the Princeton Theological Seminary. 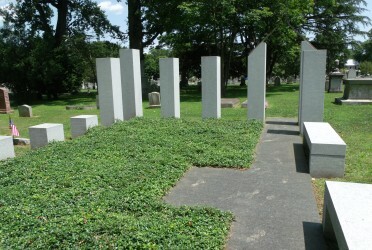 Scattered throughout the cemetery are the graves of soldiers beginning with the Revolutionary War, professors, politicians, musicians, scientists, business executives, writers, a Nobel Laureate, Pulitzer Prize winners as well as those who have called the Princeton area home. Take your time and enjoy the rich history of America captured here, and a small town’s place in that history.